The Classic Luxe Collection elevates our most iconic boot with incredibly plush Spanish Merino sheepskin, a sleeker silhouette, and impeccable Italian craftsmanship. The result is stunningly sophisticated. A tailored take on the iconic original, the new Classic Luxe Collection offers sleek, streamlined silhouettes and sophisticated styling. Classic Luxe styles are crafted from suede and lined in ultra-plush Spanish Merino sheepskin – renowned as the softest, highest quality sheepskin in the world. A medial metal zipper with an antique bronze finish allows for a more contoured fit. Sleek silhouettes feature smooth, finished edges as opposed to the rough edges and seams seen on the Classic Boot. 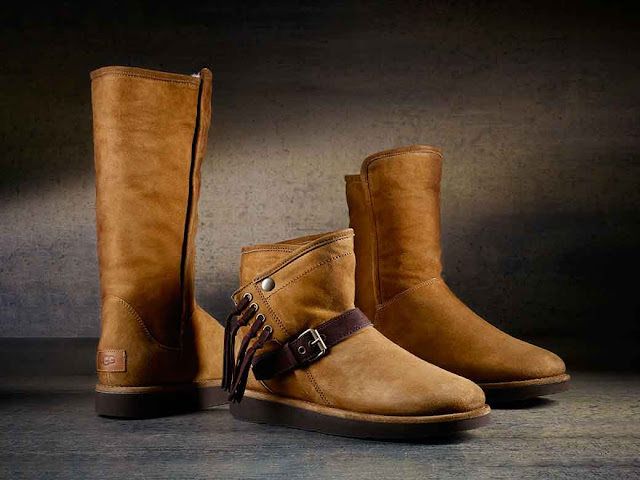 Styles are finished with a leather logo heel label and colored EVA sole with an exclusive UGG® tread design.